The biggest challenge in any marketplace is uncertainty. The major changes taking place in world economies, politics, and demographics has raised market uncertainty to its highest level in the past 50 years. However, with new markets opening up in emerging and developing economies, the opportunities have never been better. To compete in this challenging atmosphere, product design/redesign and manufacturing must be integrated to produce better quality products faster and cheaper. Design Synthesis: Integrated Product and Manufacturing System Design provides a conceptual framework and methodologies to do just that. The book explains how to integrate innovative product design with the design of a batch manufacturing system. It covers the technical and social aspects of integration, presents research and best practices, and embeds integration within a framework of sustainable development. It covers the two methods for achieving design synthesis: integration and harmonisation. Product, manufacturing system, and social system architectures are integrated (united or combined to form a whole that is greater than the sum of the parts). The concurrent processes to design the architectures are harmonised (made compatible or coincident with one another). Wide in scope, the book supplies a multi-disciplinary perspective and an extensive discussion on how to maintain integrity during the design process. The authors present research and practices that are difficult or almost impossible to find. They describe the different types of system lifecycles and include guidelines on how to select the appropriate lifecycle for a specific design situation. Graeme Britton (DEng., PhD., BE. (hons), C.Eng, FIMechE, Snr.MSME) is Professor and Vice President of Vocational and Technical Education at Raffles University System, a unit of Raffles Education Corporation, Singapore. He has been involved in improving the manufacturing effectiveness of SME's since the 1970's. He is an expert in the design of management and computer-aided systems for engineering companies using systems methodologies and General Graph Theoretic Methods. He has published over a 100 refereed articles on CAD, CAM, CAPP, and manufacturing systems. Graeme has over 30 years experience conducting applied research in industry, including company-specific projects, national projects, and international collaborative research projects. His current research interests are sustainable development and the education and training of engineers. Seppa Torvinen is a Professor of Production Engineering at Tampere University of Technology, Finland. His areas of interest and expertise are Production Systems Design, Demand Driven Supply Networks, Industrial information systems, Sustainability and Socio­ technical Systems Design. "The book is about a relevant issue for competitive manufacturing: the integration of product design and manufacturing system design. ... 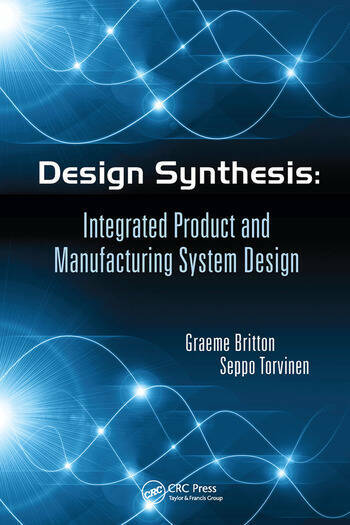 The book provides both a conceptual framework and methodologies for the integrated design of product, manufacturing and social system architectures, and for the harmonisation of the concurrent processes needed to design the architectures. ... For the contents and the style of presentation, as well as some new critical perspectives, I recommend the book to senior undergraduate students and even to postgraduate engineers and managers. I think that the book is also a good starting point to reflect on the research needs for approaches and methodologies specifically designed to support the product and the manufacturing system life cycle in small and medium enterprises. In this concern, young researchers may find the book a nice reading in order to stimulate further investigation."